She's on her final year as a BS Psychology student! Jodi Sta. Maria is now in her final year at Southville International School and Colleges. 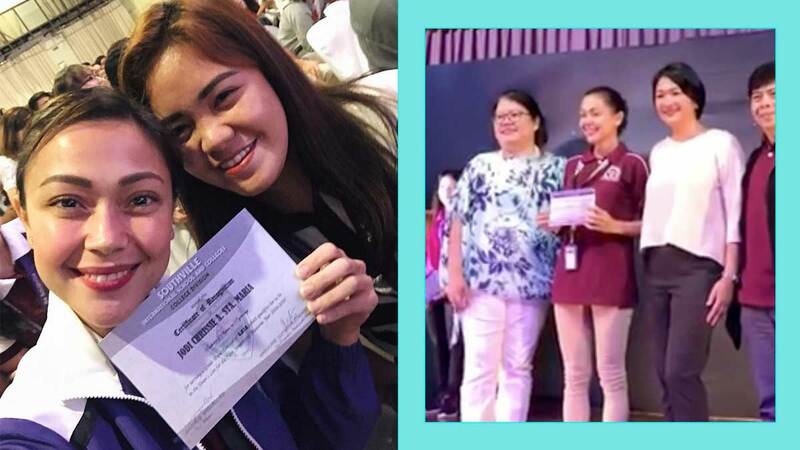 The ABS-CBN actress is inches away from reaching the "finish line," as she phrased in a recent Instagram post, and is fully aware that she's about to enter the most difficult chapter of her journey. In her interview with PEP.ph on April 4, Jodi mused on the challenges she's expecting on her final school year. She said, "This year and next year, I know it will not be easy. "Number one, I'm on my thesis na, so I'm doing my thesis na and I must say, hindi talaga siya madali. Ang hirap talaga. "I guess yung most beautiful destination would come after the hardest climbs, and I feel na nandun ako sa hardest climb ng life ko ngayon when it comes to my academics." Jodi, who is taking up BS Psychology, a pre-med course, finds comfort in the fact that she will be able to help more people. The Kapamilya star continued, "I know after this, it will just be worth it. "It's not easy, but I think nakakatulong sa akin yung mas natsa-challenge ako, mas napu-push ako, mas namu-motivate ako na mas ibigin pa yung kurso na kinuha ako. "I know with the tools, the knowledge, and the skills that I am learning now, I will be able to apply later on and it will hopefully help a lot of people."